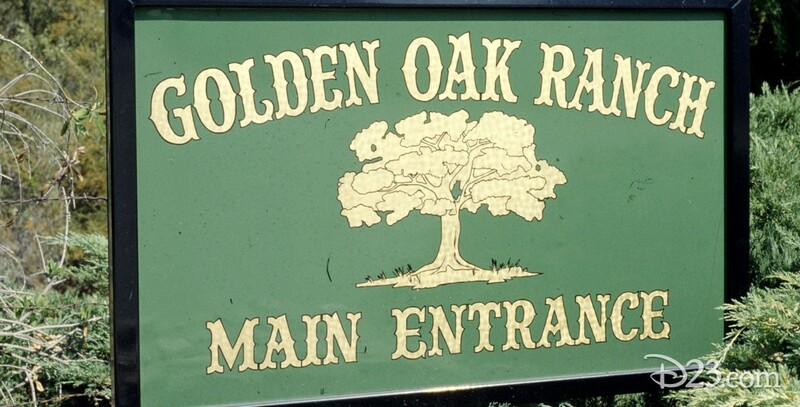 Golden Oak Ranch Located in Placerita Canyon, about 25 miles north of the Disney Studio in Burbank, this 708-acre ranch was purchased by Disney on March 11, 1959, to serve as a film location. Walt had become familiar with the area while using it as a location for the Spin and Marty serials. Over the years, parts of films such as Toby Tyler; Follow Me, Boys! ;The Parent Trap; The Apple Dumpling Gang; and The Horse in the Gray Flannel Suit were filmed there. A meandering stream with a covered bridge has been featured in many films. Other studios use the ranch also, and it has been featured in Mame, Roots, The Waltons, Back to the Future, Dynasty, and Little House on the Prairie. With 20th Century-Fox and Paramount selling their large ranches, the Golden Oak Ranch has become practically the sole surviving movie ranch. In 2009, Disney announced plans to transform a 58-acre section of the ranch into Disney/ABC Studios at The Ranch, with six pairs of sound stages, production offices, production shops and storage (set, props, drapery, costumes, etc. ), administration offices and a commissary.